You can also claim for a percentage of your domestic bills, for lighting, heating, telephone calls, etc. I just love doing accounting work and the support at Rosemary enables me to do it for myself. I am married with two children and being a franchisee enables me to do a job I love and still spend time with my family. I’m really excited to be able to carry on working under the Rosemary brand and I wouldn’t want to do anything else now. 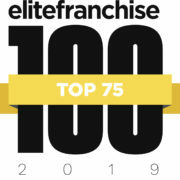 I would recommend franchising to anyone who wants to run their own business. A lot of the hard work is done for you and there is plenty of support and knowledge there for you to access. Yes, absolutely, the truly flexible nature of this franchise allows all franchise partners to run their business from a dedicated office within their home. This enables not only flexibility but keeps your operating costs low as there is no need to pay extra costs to hire an office. You can also claim for a percentage of your domestic bills, for lighting, heating, telephone calls, etc. A home office also means no commute, so you save money and time. Cutting out a daily commute of 60 minutes each way frees up one whole extra day each week. That day can be spent earning money or with family/friends or enjoying leisure time. Some of our franchise partners utilise spare rooms in their home or build a garden office. We show you how to set up a fully functionally home office incorporating all your telecommunications and IT requirements to run an efficient business. As part of your marketing and sales training we show you how to best communicate with clients and generally you would meet them at their business premises or a mutually convenient location.